Tilbuster Station was gifted to Pathfinders by a private benefactor. Their wish was that the property be used for child and youth development, and the support of families. The property is utilised as a venue to continue and expand upon the work that Pathfinders does with at risk youth and local families. Through this generosity, Pathfinders is working to turn this property into a multi-functional youth and family centre. With long and short-term plans for renovations and construction, Pathfinders aims to develop this property to eventually become a regional centre for youth and family development. 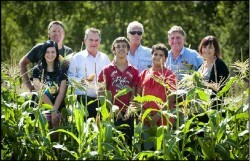 Disadvantaged young people are participating in a range of agricultural, horticultural and trade skills programs such as crop and vegetable production, animal husbandry, beef cattle production, fencing, welding and building construction. Programs are designed to enhance self-esteem, skills and work readiness of young people and to instil the values of belonging, mastery, independence and generosity. Our Tilbuster Station program is possible due to wide public support, the partnerships Pathfinders has developed within the community and the generosity of individual farmers and tradespeople who have stepped forward to assist in this worthwhile endeavour. Through our innovative partnerships, not only are we showing our young people how to work collaboratively and to give generously, we are also fulfilling the wishes of our generous benefactor. These partnerships demonstrate the benefit of NGO’s working together, the vitality of the local NGO sector and the value young people have within the community. 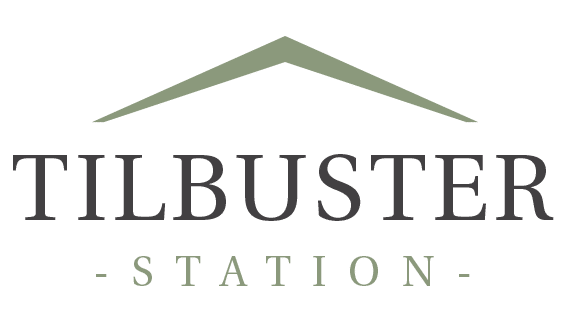 While we are currently seeking additional funding to further develop Tilbuster Station, we can now begin to utilise the property to expand our current reach and offer new forms of support, education and development to our young people. These community partnerships are a big initial step in that direction. Creating opportunities for young people to contribute to society through meaningful activities and employment is a core philosophy in our service delivery.